This is done on the Admin Menu -> Site Structure -> Site URLs area of your site. When you are on that page, you can change the subdomain of your site (or, on a paid plan, integrate a full domain that you own). 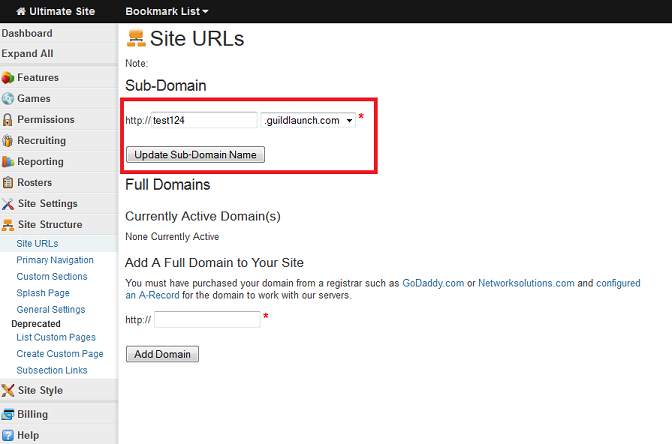 Just enter the new subdomain you'd like in the field for Sub-Domain and click Update Sub-Domain Name. So long as the subdomain isn't taken by another user, the change will immediately go live and your site will be accessible from the new subdomain!